Casual outdoor dining against the backdrop of the Music Center fountain. 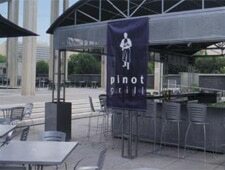 : Pinot Grill offers casual outdoor dining at the Music Center. Diners are served on the terrace in front of the Music Center fountain. True to the name, the restaurant offers several grilled dishes, including rosemary-marinated grilled quail. 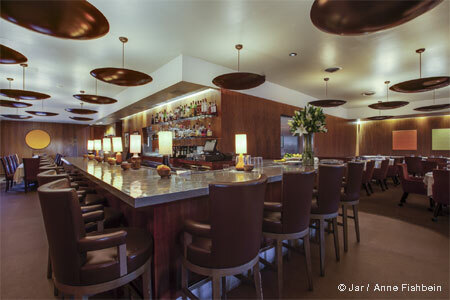 Desserts, specialty coffees and chocolate martinis make for sweet finales.